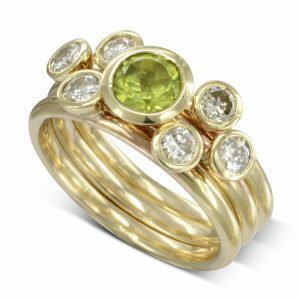 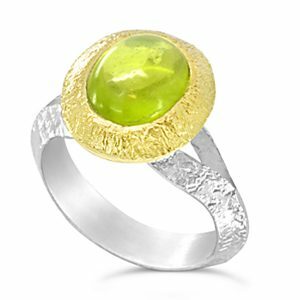 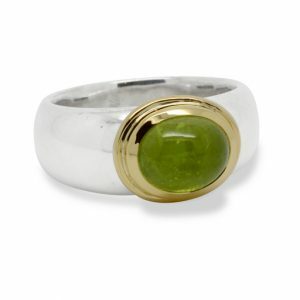 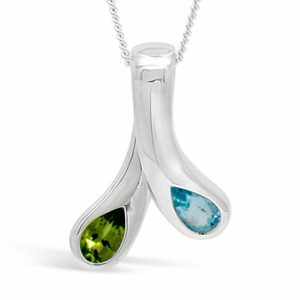 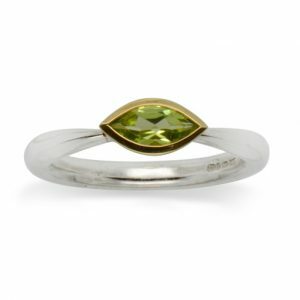 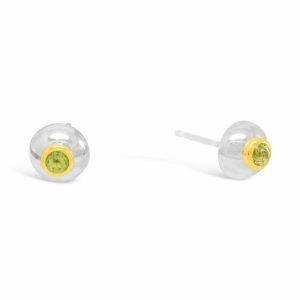 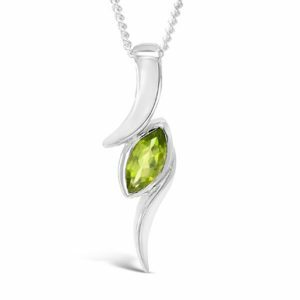 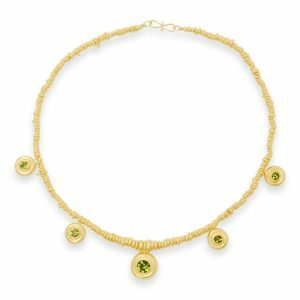 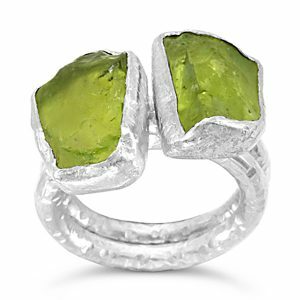 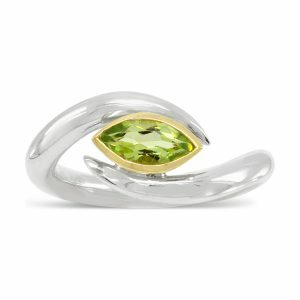 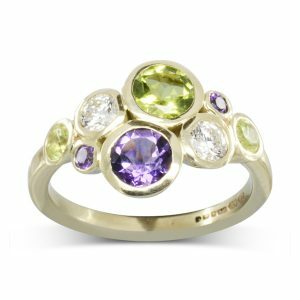 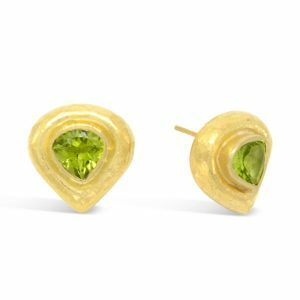 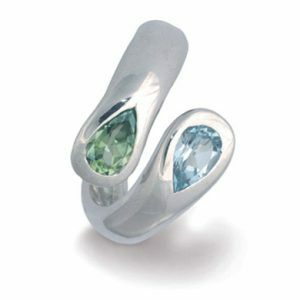 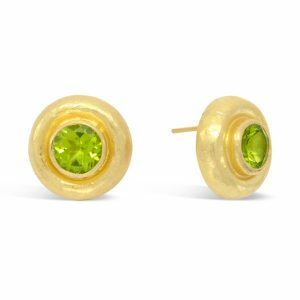 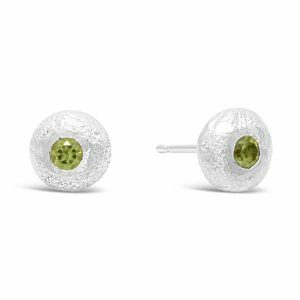 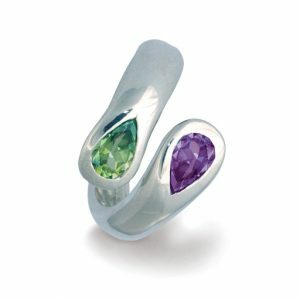 The vibrant green of peridot, with just a slight hint of gold is the birthstone for August. 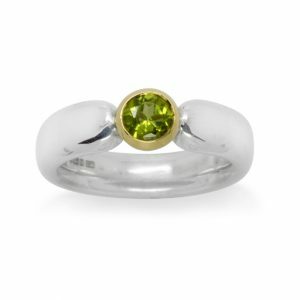 Peridot is a very old gemstone, it can be found in Egyptian jewellery from the early 2nd millennium B.C. 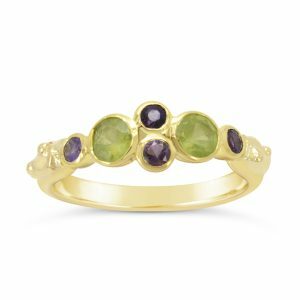 The Romans nicknamed it the ’emerald of the evening’ because its radiant green shine does not change even in artificial light. 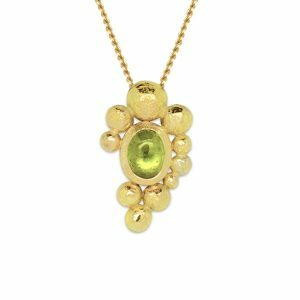 New deposits found in Kashmir of exceptionally high quality means that it is readily available again, from top quality faceted stones to large included pebbles. 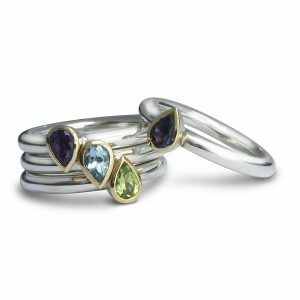 We love to combine all these cuts to make the most of it’s fabulous colour. 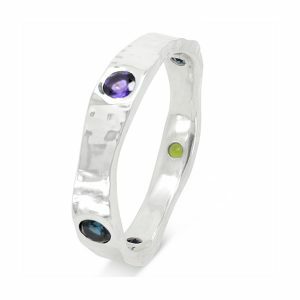 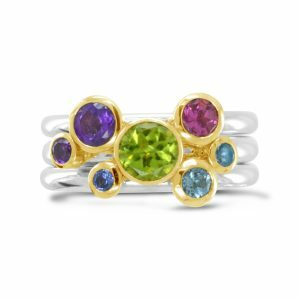 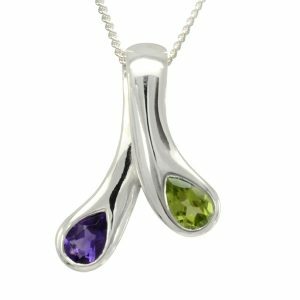 It looks good with both silver and gold tones, we like to combine all three in our “Roman” inspired shoulder rings or mix it with amethyst and gold for a colourful effect.